Written by: Priya Potapragada on May 10, 2018. Hong Kong, the dynamic, bustling metropolis is steeped in history and culture. However, as great amounts of wealth poured into the city as it established itself as a banking hub, communities in the area did not enjoy the positive effects of this economic boom. On the contrary, this process ended up creating one of the most stratified communities on Earth. Furthermore, despite residents of Hong Kong being a vibrant mix of backgrounds, Cantonese remains far and away the dominant culture and language. In fact, for over a decade social minorities were placed into designated schools, segregating them from the mainstream Cantonese society. Consequently, it is rare for members of different backgrounds and abilities to interact and experience each other’s cultures. Established in 1979, the Hong Kong-based charity TREATS is a truly inspiring organization that works to create social inclusion opportunities for children and youth from different backgrounds to interact and learn about one another while developing their personal and social skills. 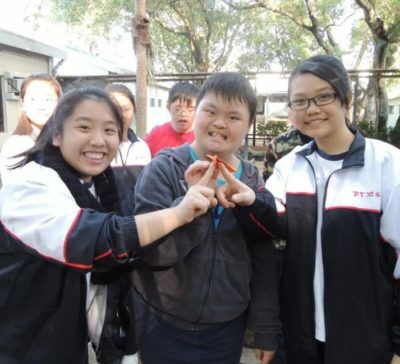 Through its specialized activities, generous volunteers, and educators, TREATS is able to make groundbreaking steps toward social inclusion in Hong Kong; bridging society’s gaps by offering special curriculums and programs for all youth living in the region. One of their unique programs, Cookery for ALL!, partners children from “special needs schools” and “mainstream” schools together along with a volunteer to work together in cooking delicious treats while taking part in fun, games, and conversation. During the program, children from different backgrounds are given the opportunity to increase their mutual understanding of each other and embrace differences. A $2,000 grant recommended by a CAF America donor helped to support a Cookery for All program in 2017. The grant helped to provide funding for 40 participants, including 13 students from a special needs school and 13 students from a Christian school, and 14 volunteers.